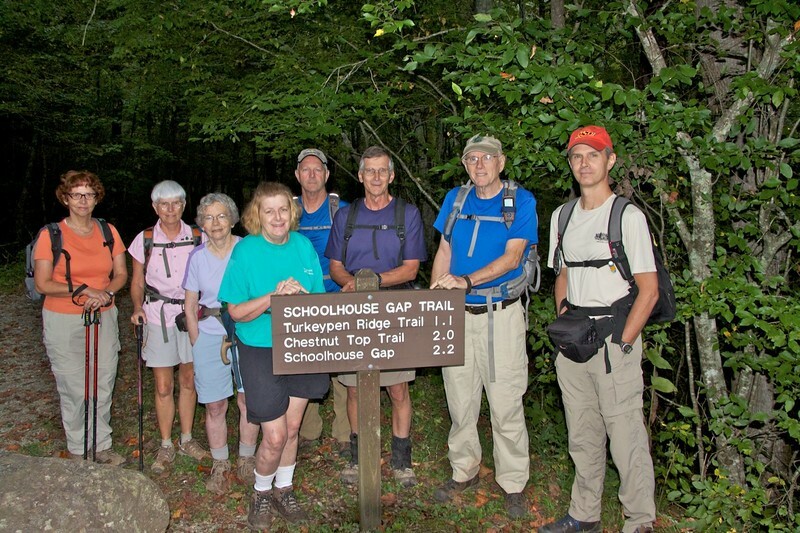 The Wednesday hike this week was the 8.5-mile Schoolhouse Gap/Turkeypen Ridge/Finlay Cane/Bote Mtn loop. Nine participants enjoyed a nice day in the woods, but wildflowers were rather sparse and skies party cloudy all day, so photo opps were somewhat lacking. From left: Elfie, Nancy, Jean, Chris, Estes, Ron B., Gary, and Michael. Ron S. is taking the picture.